It’s funny how fortunes have changed in the span of 10 months for the Falcons. In 2014 they had one of the worst defenses, no ground game on offense, and Mike Smith was updating his resume by this time a year ago. Flash forward and the Falcons defense looks faster and more opportunistic, their running back (Devonta Freeman) leads the NFL in rushing touchdowns, and Dan Quinn has the early lead for NFL coach of the year. 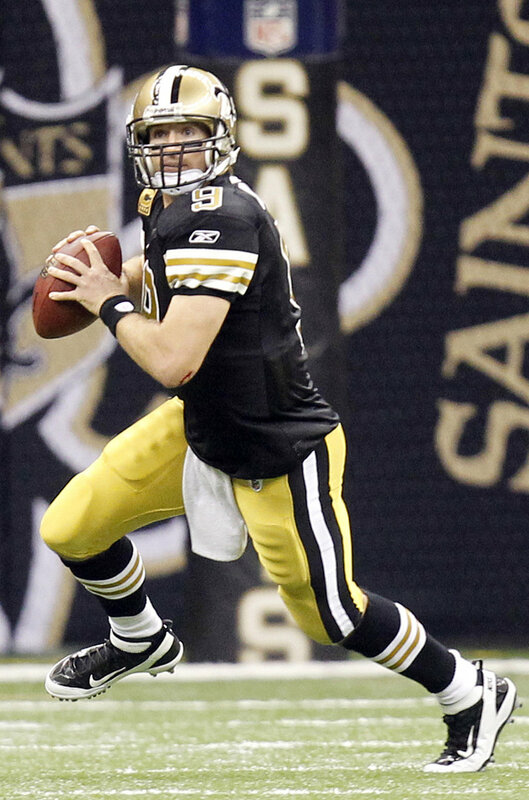 The team that used to enjoy such good fortune, the Saints, host the new look Falcons tonight in the Superdome. Besides this being an important NFC South game for both, it’s a game that should have a lot of fantasy owners monitoring their scoring early. Part of the drama when it comes to fantasy football and these Thursday games is that the quick turnaround doesn’t allow for much recovery time for stars if they need it. It also doesn’t afford much in the way of starting lineup construction if you roll the dice and miss. Let’s talk about who should get the those early Thursday nods, shall we? Julio has come up lame the last couple weeks for fantasy owners. Largely due to injuries that have hindered him since week three. With the news that Jones, who played 73 of the teams 80 offensive snaps in week 5, seems to feel better than he did on Sunday you have to like your chances with him going against that Saints secondary tonight. Even if you don’t, there are worse things than taking a chance on one of the top wide receivers in the NFL. Kudos to Freeman for taking opportunity and (sorry about this) running with it. However, this is more of a case where the output definitely is a product of the schedule. That’s no knock on Freeman, you have to go out there and play, but the Falcons haven’t faced a stiff run defense since week 2 and Coleman outperformed him. My theory is that had Coleman remained healthy he, too, would have feasted on the likes of Dallas, Houston, and Washington. Look, you would be a fool not to start Freeman again tonight, but I think this comes back to an even split as Coleman works his way back from injury. Speaking of Coleman, last week he received just two carries as he works his way back from a rib injury. At this moment, I wouldn’t consider starting him or gambling on him having a nice game just yet. Drew Brees hasn’t been as bad as the media wants to make him, or as good as we’re used to seeing. He’s still averaging about 300 yards/game and has a 2:1 touchdown-to-interception ratio. The problem comes against a pass rush: can Brees fully overcome his offensive line and light up secondary’s like before? Atlanta’s pass rush, while improved, still is a work in progress and should allow for some opportunities for Brees to take shots. He’s still a must start, but tonight should show whether you need to start looking for a backup. I’m still high on Cooks, even more so after his 100-yard, touchdown performance against the Panthers last week. With Colston out he’ll have to step his game up against another tough test (Trufant), but he’s someone I’m looking to fill the void with while Amari Cooper and Mike Evans are on Bye. Should see plenty of targets as well. This is the ideal matchup for Spiller. Remember back in Week 1 what Darren Sproles was able to do against Atlanta on Monday Night Football? I envision the same scenario with Spiller tonight. Almost a forgotten man coming back from injury but I see real good numbers coming from him tonight as Atlanta also had trouble stopping Shane Vereen and Chris Thompson as pass catching backs as well. I think Sean Payton took note of that. A big riser this week, not completely sure how much stock to put in him just yet. I’m not starting him over a bigger name this week, but if you’re in need I would give him a look. I expect Cooks, Ingram, and Spiller to get a majority of the looks tonight so don’t go all-in just yet if you don’t have to.